The Lumia 820 and 920 might not save Nokia but we do have full reviews of the Nokia Lumia 820 and Nokia Lumia 920 Windows 8 phones, check them out for yourself. When Nokia declared defeat on Symbian and stacked all its remaining chips on Windows Phone, the company’s fate was sealed. With the Lumia 900, that bet didn’t go so well. Now it’s rolling the dice one more time with the Lumia 920 and Lumia 820. 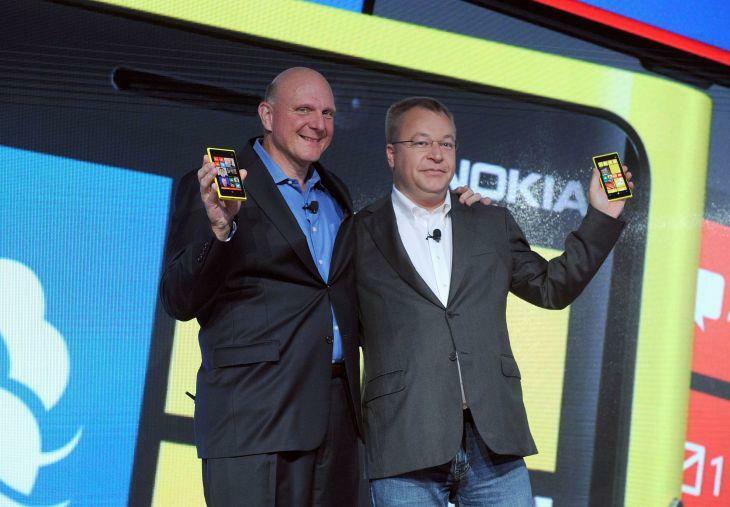 Are these the smartphones that will save Nokia? The answer, sadly, is “probably not.” Unfortunately for Nokia, the scales of the smartphone market are tipped against it right now, and only a pair of game-changing devices could tip them back. The Lumia 920 and 820 don’t carry that weight. Here’s why. New phones…or an updated Lumia 900? In terms of specs, both the Lumia 920 and the Lumia 820 are competitive with devices like the Samsung Galaxy S III and other mid- to high-end smartphones. That’s part of their problem: There’s little about the new Lumia hardware that stands out at first glance, other than swappable neon-colored cases. In fact, the new Lumia’s specs aren’t all that different from their predecessors, the Lumia 800 and 900. The Lumia 900 offers a 1.4GHz processor, 4.3-inch 800 by 480-pixel AMOLED display (same dimensions as the new Lumia 820), an 8-megapixel Carl Zeiss camera, and support for 4G LTE networks. Add Qi wireless charging and a more-sensitive screen, and you’ve essentially got a Lumia 820. It wouldn’t be hard to argue that one of Nokia’s new flagship phones is a slightly warmed-over version of its previous flagship phone; you know, the one that didn’t sell well and that Nokia wound up issuing full-price rebates on because of a software gaffe. The specs above on the Lumia 920 gloss over a genuine hardware innovation: the PureView 8.7-megapixel camera. Seeing the name PureView immediately recalls the recent Nokia 808 smartphone. The 808 is based on the moribund Symbian platform, but it sports a unique and stunning 41-megapixel camera. That doesn’t mean the 808 takes 41-megapixel pictures; it uses all the extra capacity in the sensor to offer high-quality zoom and noise reduction. It’s really quite cool, and totally unique. Nokia introduced PureView as a fundamental rethinking of how mobile cameras can operate — and delivered. None of that PureView is in the Lumia 920. Instead, the Lumia 920 offers a high-quality Carl Zeiss 8.7-megapixel camera. It’s not a stock part: None of the camera components area derived from previous Lumia offerings, and it’s all-new from the flash (twice as powerful as Nokia’s previous LED flash) to the housing. The most significant item on the new list is optical image stabilization, which works to keep the camera lens physically steady and capable of taking sharp, unblurred pictures even in shaky hands. No other smartphone has this technology yet. 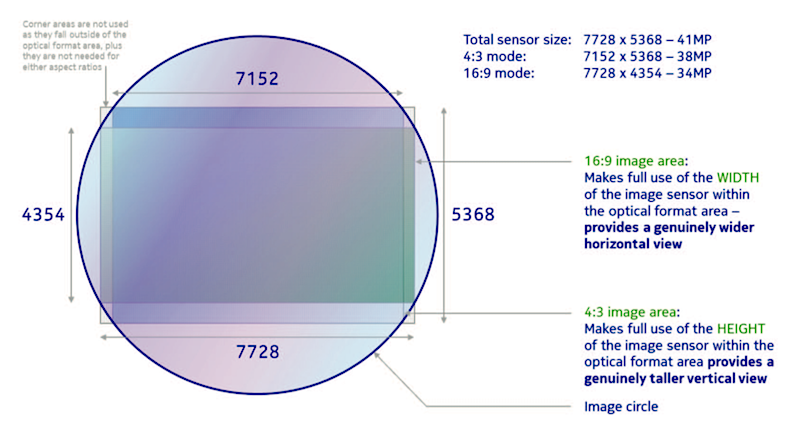 The floating optics make the camera bigger than most other phone cameras, but Nokia still packed them into a device that measures just 0.42 inches thick. If you’re a photography aficionado, you’re applauding right now. However, the Lumia 920’s camera means Nokia is now positioning PureView as a brand, rather than a specific set of technologies. The Nokia 808 represented the first “phase” of the technology; the Lumia 920 represents a second “phase” aimed at improving low-light use and reaching a broader range of consumers. Nokia wants PureView to denote a premium imaging experience of some sort, regardless of the specific technologies in play. That’s a mixed message if we’ve ever seen one. Nokia says the combination of image processing and high-quality optics make the Lumia 920 worthy of the PureView brand name. In fact, Nokia’s Damian Dinning — who has spent five years developing PureView technologies, took to Twitter this week to argue exactly that. Early reports of image quality in the Lumia 920 are quite positive, particularly in low-light situations, and Nokia is expected to bring out lens “apps” to add functionality via software. Nonetheless, the consumer camera market largely hasn’t gotten past the megapixel argument. Show a typical buyer two $99 cameras, one with an 8-megapixel sensor and one with a 14-megapixel sensor, consumers will almost always buy the 14-megapixel camera because “more” is better. Some may make a different decision based on size, battery type, features like an optical zoom, or even image quality, but megapixels are still the primarily marketing point for digital cameras. From a marketing perspective, Nokia would have been better off skipping the PureView brand entirely and trumpeting the Lumia 920 as “the first phone camera in the world with optical image stabilization.” That’s a tremendous accomplishment. Instead, the Lumia 920’s PureView camera comes across as a watered down version of technologies originally meant to support a 41-megapixel sensor. That’s if consumers are aware of the 41-megapixel PureView camera at all — otherwise, the Lumia 920 is just another phone with an 8-megapixel camera. Don’t they all have that these days? Apple product announcements garner an incredible amount of press and consumer attention. Pre-empting Apple could potentially take some of the wind out of Apple’s sails. Pre-empting Apple means a company’s newly-announced products mostly get compared to Apple’s existing product line, rather than whatever the notoriously secretive Apple has up its sleeve. Apple always announces pricing when they introduce a product. The new product is always available for pre-order — if not outright sale — shortly after the announcement. Nokia did neither of these things. The company offered no timeframe for when the new devices would be available, save that they would land in the last three months of 2012. The company has revealed no pricing information. Few expect that the Lumia 920 would cost more than an iPhone or a high-end Android phone, but right now, there’s no telling. Some industry watchers are speculating Nokia will follow the path of the Lumia 800 and 900 and price the devices at $49 and $99 (on contact) in an effort to attract buyers. The lack of pricing and availability information leads to another crucial question: Who is going to buy a new Lumia phone? The logical answer is that early adopters will be folks who have already bought Windows Phone devices from the likes of Nokia, HTC, and Samsung. After all, they already have an investment in the platform, so stepping up to a new flagship Nokia device might be a no-brainer. Or is it? Windows Phone 7 debuted in October 2010, almost two years ago, which means that users who were among the very first to jump on the platform are nearing the end of their phone contracts and probably starting to look for a new phone. The new Nokia handsets might be very tempting when they eventually ship. 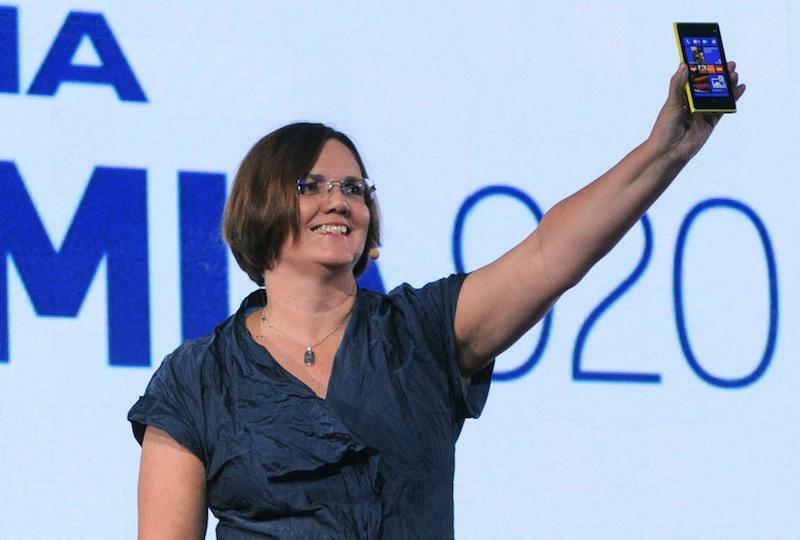 However, most existing Windows Phone customers did not jump on the platform on Day One. And the Lumia 900 — arguably the best device to date engineered to the Windows Phone platform — only hit the market five months ago. Customers who bought that phone won’t be out of their contracts until 2014. Moreover, those customers probably feel more than a little bit slighted, since no existing Windows Phone 7 devices will be upgradable to Windows Phone 8. (They’ll get a new start screen with Windows Phone 7.8, though.) Even if folks bought a new Windows Phone just a few months ago, they’ll have to buy a whole new device to get Windows Phone 8. Put together, that probably means many existing Windows Phone 7 customers aren’t in much of a hurry to snap up the Lumia 820 or 920 when they become available later this year. Who does that leave in Microsoft and Nokia’s target market? Existing smartphone owners are difficult to convert because they already have an investment in apps, accessories, and add-ons for their platform. Once you’re locked in, it’s hard to switch — or not feel annoyed at having to buy Angry Birds all over again for your new phone. Guess which platform is widely preferred by folks who are looking for their first smartphone? Often, it’s the platforms their friends and family use. How many people have friends and family using Windows Phone 8? Zero. The bottom line is that Nokia’s new Lumia phones will be a tough sell all around, at least, when they go on sale. Whenever that might be. 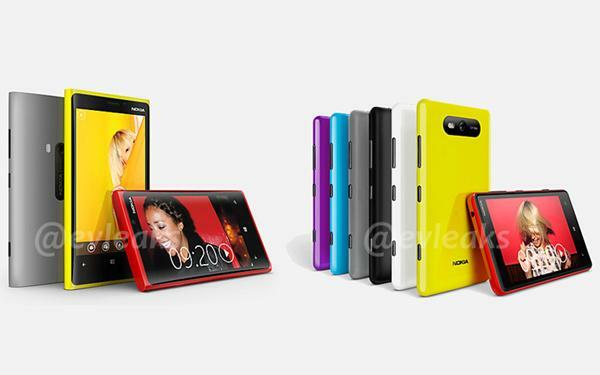 The Lumia 820 and Lumia 920 may represent Nokia’s last, best opportunity to wow the smartphone market. Nokia is hemorrhaging money, and it’s getting very difficult for the company to borrow to keep its operations afloat. Standard & Poors recently downgraded Nokia from BB+ (high-end junk bond) to BB- (a somewhat junkier junk bond). The move follows a similar downgrade by Moody’s (from Ba1 to Ba3) in July. Nokia has put a brave face on these ratings downgrades, noting it has a few billion euros in the bank (more than twice its reported debt) and access to 1.5 billion more in credit lines that are good through 2016. That cash position — coupled with cost reductions like layoffs — can keep the company afloat for a time. But Nokia’s stock price declined nearly 16 percent with the announcement of the Lumia 820 and Lumia 920. Investors — even those willing to consider sub-prime “speculative” stocks — didn’t like what they saw today. Nokia’s stock price is down over 60 percent in the last year. The stock price and rating downgrades are indicative of how deep a hole Nokia has dug for itself with its all-or-nothing bet on Windows Phone. Most of Nokia’s revenue still comes from feature phones, primarily sold to developing markets, and that revenue is drying up as carriers shift away from Symbian in favor of platforms like Android, or demand deep discounts from Nokia to keep Symbian on the shelves. Nokia’s Windows Phone devices have generally been well reviewed, but not enough people are buying them to make up for the lost revenue. The result is that Nokia is having to cut deals with carriers and discount the phones in an effort to make consumers even consider them. It all smacks of desperation—not a known turn-on for consumers. Nokia has a few things going in its favor: Microsoft will aggressively promote Windows Phone 8 alongside Windows 8 and Windows RT going into the crucial end-of-year holiday season, which should help make Nokia devices more visible. Mobile carriers are interested in having a third major phone platform that they can play against Apple’s iOS and Google’s Android, so they may be willing to cut some favorable deals to give Windows Phone a chance. And it’s significant that Nokia unveiled these new Lumia phones in the United States: it means Nokia is looking to re-assert itself in the North American market, which it has largely abandoned for the last several years. But the clock is ticking. Microsoft has a lot of cash. It can afford to keep promoting and iterating the Windows Phone platform for years — just as it has done with its Bing search engine — without making a penny from it. 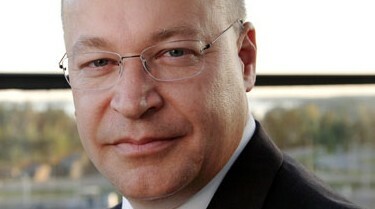 Nokia cannot afford to play out that kind of long-term strategy. Today’s highly-anticipated announcement from Nokia, leading up to the official launch of Windows Phone 8, was perhaps the company’s best shot at showing it can innovate and disrupt the smartphone market with something truly unexpected. That didn’t happen. Nokia has enough money for maybe two more attempts. Personally, I hope they can do it.